Sri Lanka, which rescued 300,000 hostages held by the LTTE as a human shield, by defeating the terrorist group, has continued to protest at the allegations of human rights violations. Special envoy on human rights, Mahinda Samarasinghe, condemned the resolution as “misconceived, unwarranted and ill-timed”, and potentially harmful to the progress being made within the country. The LTTE, in its brutal reign of three decades killed an estimated 100,000 and brought ruin to the once resilient economy. Western governments warned President Mahinda Rajapaksa not to even attempt to fight the invincible terrorist group, which had mastered the use of female suicide bombers to cause widespread damage. But following a four-year grueling war, the LTTE was defeated in May 2009. It was the first time in recent history that a terrorist group had been so comprehensively beaten by a government. But not a single western government moved to congratulate Sri Lanka for the unparalleled feat. If such an outcome were to be secured in Iraq or Afghanistan or even in Pakistan, it would be embraced by the West as an unadulterated and righteous triumph. In Sri Lanka, however, it appears to have provoked … a seething and barely concealed outrage.… There is a sense, not of a dreaded terrorist organization having been defeated and destroyed, but of collaborators, comrades, and fellows at arms, lost to the enemy. The U.S. position seems ironic since it provided considerable help for the government to defeat the terrorists. The U.S. was one of the first countries to ban the LTTE and the FBI described it as the world’s deadliest extremist organization surpassing Al Qaeda or HAMAS. Many Tamils convicted for attempting to buy sophisticated arms and equipment in the US are currently languishing in jails mostly as a result of FBI sting operations. Following the United States, the European Union and India, as well as a number of other countries, had proscribed the LTTE. Some of these governments, especially the U.S. and the U.K., also provided arms and intelligence to help crush the group. And with the end of the war, Sri Lanka has achieved comprehensive peace. Few countries in the world have been able to restore normalcy with such speed following a long drawn out war. In under three years, almost all the 300,000 internally displaced people have returned to their own homes. Even more impressive is that 90 percent of LTTE cadres who had surrendered (10,490 of the 11,700) have been freed and reunited with their families. Alongside these remarkable achievements, tourists who shunned the country for decades have been flocking back. This follows the New York Times and a number of travel magazines identifying Sri Lanka as a top tourist destination after the war. The Sri Lankan economy last year recorded the highest ever growth rate of 8.3 percent. Tamils in the northern province who had been herded around as hostages by the LTTE have at last settled back in their own homes. Economic growth of the northern region last year was a massive 22 percent. It is clear that Sri Lanka, and the Tamils in particular, are working to leave the past behind and move on. In that background it is not surprising that they saw the UNHRC resolution as a hindrance, not a help. Besides all these, Sri Lanka is a functioning democracy friendly towards the West. Why then did the United States sponsor the Human Rights Council resolution against a friendly nation? Perhaps it was a genuine concern for protection of human rights. The mounting number of casualties suggested by various human rights groups and media outlets and the screening of a documentary by U.K.’s Channel 4 were capable of stirring emotions in any unsuspecting listener. In spite of that, a few days later the London Times reported that evidence gathered by it has revealed that at least 20,000 Tamils were killed. The paper blamed the U.N. for underestimating the death toll. What is intriguing is the way the Times arrived at that figure. The paper gave different bases for its calculation. One version was that the U.N. had assessed the number of those who died by the end of April at around 7,000, and the paper extrapolated it using the rate of 1,000 a day for May until the 19thwhen the war ended. Later the Times claimed that it had extrapolated the number of dead bodies by four. The rationale for using either option was not explained. But the story did not end there. Stakes were raised again, this time by an ex-employee of the U.N. in its Colombo office, Gordon Weiss, who told ABC that the death toll could be ‘between 15,000 to 40,000’ according to his sources. He has not so far divulged these ‘sources’. The unsound nature of the estimate was evident when he admitted at the launch of his book on the war that that number was ‘far too high’. But in spite of the caveats, protests, disagreements and denials, and the absence of a sound basis, the upper end of Weiss’ estimate gained currency. The Darusman report to U.N. Secretary General Ban Ki Moon endorsed the figure noting “there is still no reliable figure for civilian deaths, but multiple sources of information indicate that a range of up to 40,000 civilian deaths cannot be ruled out at this stage”. The Darusman committee did not undertake its own research but went by the ‘number of sources that quoted the figure’. In other words it had become a victim (and a promoter) of Goebbels theory that if you keep repeating a lie people will eventually come to believe it. The manner in which “multiple sources for the information” that formed the basis of the Darusman report were mustered should have alerted the media to their questionable authenticity. By the deadline of 15 December 2010, the response to the committee’s invitation for submissions was so poor that it had to extend it by two weeks. It was then that the anti-Sri Lankan lobby got into action urging the Tamil Diaspora to make representations to pressure the U.N. to hold an enquiry against GOSL, even if they hadn’t been directly affected by the conflict and atrocities. To make it easy, two dozen sample letters to be sent online to the Panel of Experts were presented in three different websites. To make it even easier, to hide their identities, organizers extracted an undertaking from the U.N. which denied access to material in the Expert Panel’s possession for a period of 20 years. Even after the lapse of the 20-year-ban, the Office of Legal Affairs (OLA) has assured the Committee, that it could give an undertaking to its sources of absolute confidentiality in the subsequent use of information. Sri Lanka has criticized the report based on unsubstantiated, third-hand sources with the 20 year embargo which prevents anyone from checking the authenticity of the information. There is no data even on how many of the complainants were in fact in the warzone during the period. In spite of the contrived nature of the “evidence” the media has latched on to the report as the source of 40,000 deaths. The Darusman report negated its own conclusions by noting later that, “This account should not be taken as proven facts, and any effort to determine specific liabilities would require a higher threshold”. But when its numbers were used by the media, such qualifications were conveniently lost in transition. The British Channel 4 produced a video ‘Sri Lanka killing fields’ to buttress these claims. Sri Lanka continued to object to these claims and produced its own documentary ‘Lies Agreed Upon’ which questioned the authenticity of the Channel 4 presentation. Much of the Channel 4 material had been drawn from the LTTE mouthpiece TamilNet that routinely published exaggerations to drum up western help and sustain Diaspora support. One of its outrageous claims was when it produced a photo of its leader Prabhakaran reading a copy of the newspaper which carried the news of his demise, two days after his death, claiming he was alive and well. Critics also have questioned how the armed forces could have got rid of 40,000 bodies in such a short time in a 5 kilometers sliver of land without leaving a trace and without being seen via satellites. It is somewhat surprising that no foreign government, media organization or human rights group, or indeed the United Nations, heeded Sri Lanka’s protests and re-examined the veracity of the information published. In the rare instances it was done, such as when the video was referred to an expert, it was to the same person who had provided the testing gear. Instead, the focus of all subsequent action was to exclude GOSL representatives from their promotional meetings to avoid them questioning the information and produce even more similar material. The reluctance to reexamine the basis of their claim can be explained, in part, by the fast moving world we live in where people have no time to dwell on issues, or critically examine them, before moving on to something else. So they assume the published information is correct. Some indeed take advantage of this haste to ‘create news’. Martin Fletcher, Associate editor ofThe Times, who spent six hours in detention in Homs, Syria wrote “The protesters have an agenda of their own – a vested interest in portraying the Government in the blackest possible light. One ‘‘witness’’ cited as a source for reports this week claimed that the regime had shut off supplies of water and electricity to parts of the city, and was refusing to let residents enter or leave – but I saw no evidence of that.”There is another, more fundamental reason. Imagine a situation where the media, the NGOs and other interlocutors agree with GOSL. That would then end the relentless push to vindicate the terrorist group, and along with that, the case for violation of human rights. What would this do to their own survival? NGOs are funded to promote the protection of human rights. It is not their responsibility to investigate the authenticity of claims. This applies equally to the U.N. High Commissioner for Human Rights. NGO heavy weights such as the Amnesty International, Human Rights Watch, and the International Crisis Group and most others depend heavily on donor funding to pursue their objectives. It is the extent to which they have vindicated the under-dog that help attract resources. Rewards for help to protect the minority player whether the premises are accurate or not apply equally to media and governments. The U.S., U.K. and the other promoters of the UNHCR resolution against Sri Lanka all followed the same route. It is then not surprising that the three major human rights groups and media players such as the London Times, invited to make representations to the Lessons Learned and Reconciliation Commission (LLRC) which was tasked to determine the facts and circumstances of the war, refused to do so. One major drawback the GOSL had was its inability to produce convincing data to back its position since there had been no census of population taken in the northern province since 1981, when the LTTE took control. The first census in the northern province since hostilities ended was undertaken last year and this information is now available in the public domain. It provides interesting data, among other things, on population and the number of deaths during the period of the war. According to the census, in accounting for the population that resided, the total number of deaths in the province during the five years to 2009 was 22,329. As expected, half of this, 11,172, had occurred in 2009. Thirty percent of this had been recorded in Mullaithivu, where the last stage of fighting took place. The census also has collected data on cause of death. Of the 2009 figure, 71 percent (7,934) were deaths under extraordinary circumstances such as accidents, homicides, suicides, and acts of terrorism. LTTE cadres and child soldiers conscripted by the group who died in the war could comprise a high proportion of it. According to the LLRC report, 22,000 LTTE cadres had died in the war through the period since 1976. If the death toll of the last phase was anywhere near the census numbers, it has to be considerably lower than the claimed 40,000. In spite of the serious doubts cast by GOSL on the two key strands of evidence – the documentary video and the casualty figures, the U.S. persisted with presenting the resolution. This was while recognizing that it was probably the least justified country to question the human rights record of another with its own history of possibly much larger scale violations in Iraq, Afghanistan and Pakistan. There should have been good reason for this. One abiding reason is the strength of the Tamil political lobby. During the last Presidential election ‘Tamils for Obama’ and ‘Tamils for Clinton’ provided significant campaign funding and support to the two candidates. Being one of the world’s richest terrorist organizations, with an annual income of $300 million as estimated by the FBI, the LTTE was in a position to play such a powerful role. A good proportion of these funds were ill gotten through drug trade, credit card fraud, and human trafficking. Obama accepted the Tamil overtures despite the fact that the LTTE was a listed terrorist organization in the United States. His justification was the delineation of Tamil terrorists as freedom fighters. The distinction was spurious since Al Qaeda also claims to be freedom fighters. That support paid handsome dividends for the LTTE. The U.S. dispatched a planeload of logisticians towards the last stages of the war to work out modalities for deploying U.S. assets to rescue the terrorist leader Prabhakaran and his high level cadres and their families to be flown out to a third country. To implement the plan, U.S. 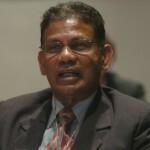 Ambassador Robert Blake asked the government to call a ceasefire, ostensibly to rescue the hostages held by the LTTE. The plan came unstuck when President Rajapaksa rejected the proposal since the LTTE did not release any hostages and used the opportunity to regroup and rearm, during the suspension of hostilities weeks earlier. Prabhakaran himself was not cooperating with western moves. Living in isolation in a bunker, he assumed things would turn out in his favor eventually, and balked at deputies who suggested surrender to anyone. The Tamil lobby was equally strong in the U.K., where at the time Prime Minister Gordon Brown was fighting for his political life. As part of wooing Tamil voters in marginal seats he sent his Foreign Secretary David Milliband to pressure Rajapaksa. Milliband admitted that his focus on Sri Lanka, spending 60 percent of his time, was driven by the looming election in the U.K. and the importance of British Tamils in marginal constituencies. Once again Rajapaksa remained adamant. Leading up to the U.S. Presidential elections due later in the year, the timing seems ideal, once again, for the terrorist group to apply pressure on President Obama. The U.S. push for the UNHRC resolution reflects this influence. It also shows that the west has not forgotten or forgiven Rajapaksa for his defiance. These moves have been helped by LTTE continuing to use its funds smartly to maximum benefit. With buying arms no longer a priority, it is now flush with resources to spend on action intended to haul Sri Lankan leaders before international courts or, at least, cause them embarrassment. The LTTE was aware of the overwhelming influence of human rights groups such as Amnesty International (A.I.) on foreign governments as well as the Human Rights Commission and maneuvered to use them to pursue Sri Lanka on its behalf. Last year the pro-LTTE group the Canadian Tamil Congress (CTC) handed A.I. a check for $50,000. There were protests from the public but the deal went through. At that time, the CTC was spearheading a campaign in Canada for the resolution against Sri Lanka at the UNHRC. Not surprisingly, A.I. was the most active human rights organization promoting sanctions against Sri Lanka at the Human Rights Commission sessions in Geneva. Buying into A.I. was a highly rewarding strategic move with immense downstream advantages. The terror group also utilized its bountiful wealth to retain influential lawyers such as Bruce Fein, a top Justice Department official under the Reagan administration and Karen Parker to promote LTTE interests in United States. All these actions have no doubt helped the LTTE to sell its agenda against Sri Lanka to U.S. lawmakers. In this background the U.S. government persecuting a weak, small country like Sri Lanka seems a no brainer since it was a relatively costless trade-off for gaining Tamil electoral support. There was another reason that may have played a decisive role in the U.S. action. As part of pressuring Sri Lanka to a ceasefire to save the terrorist leadership, in early 2009, towards the final stages of the war, the U.S. banned supplying arms to GOSL and forced suppliers to renege on existing contracts. European Union followed suit. This left the Sri Lankan government in a quandary. The panic-stricken government approached all possible friendly nations for help. Among other countries China responded positively. Chinese war supplies helped Sri Lanka enormously during the last stages to finish the war. In addition, when western governments, stung by the GOSL feat in winning the so-called unwinnable war, attempted to bring the human rights issue before the U.N. Security Council, China, along with Russia, vetoed the move. Such moves, which thwarted the attempts by western countries to prevent Sri Lanka defeating the terrorists, irked the West a great deal and UNHRC session was an opportunity for revenge. But in the longer term, its action may prove costly for the United States with the potential loss of an ally so strategically located in the Indian Ocean. Dragging India along to support the move may also have damaged the close relationship that existed right through between the two Asian neighbors, which could prevent using it as a lever. And this at a time the U.S. defense budget is trimmed except for the Asian region where it is expanding, to counter China influence. Some years back it was such strategic considerations, and not short-term election related issues, that almost entirely determined government external policy. But in the backdrop of current political processes where time horizons in decision-making do not extend beyond electoral cycles, long-term strategic considerations hardly enter the equation. In a hyper-connected world as ours if we do not start the day by asking “what are the biggest trends and changes and how do I get the most from them” you are in big trouble. But what we do is saying I got this big crow bar. How do I stick it into the wheel of the other party and muck up their day so I win this news cycle. You do this day in day out over ten years and you wake up one day to discover you are in the worst kind of decline. The action of the United States in Geneva seems an extension of Friedman analogy to the international arena. The U.S. played an important role in helping Sri Lanka defeat the LTTE by providing arms and intelligence as well as restricting terrorists procuring arms in United States. But before it could reap the benefits of that support the change of administration in 2008 moved U.S. policy in a different direction. That pushed Sri Lanka to the fold of China, which had been yearning for a foothold on its main sea route lying just 7 km south of Hambantota in Sri Lanka. But Sri Lanka has been, and continues to be, a western oriented nation while retaining its neutrality in the international stage. Recovering from 30 years of death and destruction what she longs for is stability and support. Coercive action will only push the country firmly into the domain of countries that understand and remain sympathetic to her aspirations. ‘Syrian regime not alone in pushing misinformation’, The Dominion Post 13 May 2011. See for details, Don Wijewardana, How LTTE Lost the EELAM War, Stamford Lake, 2010. Nick Venter, Mr Above Average, interview with Thomas Friedman. Your Weekend, The Dominion Post, 24 March 2012. If someone writes such an article at this moment you can imagine he is definitely in a different world than any others in this world. Which world are you living in, the clown world or the idiot world? Can you please give us you comments on the cluster bombs detected in Mullivaikal by UN Staff in charge of demining that area. The article is accurately documents the disgraceful behaviour of the Clinton/Blake/Rudrakumaran/Obama group. It was well known the Tamil Tiger terrorists had smuggled in to the country the most deadly and internationally banned weapons for use against the SriLankan armed forces, which included cluster bombs and poison gas and also gas masks to protect the terrorists. Visit the museum in Jaffna displaying the captured Tiger arsenal, to see what they had. us government announced million doller offer for the head of bin larden to get the dad verdict by public.so suz was looking for bin larden traveled to pakisthan twice unable to catch.now suz realized us hrc should change the principles.tere are human right violations us can gosl cannot. UN is not an idiot organization. If you implement the LLRC recommendation, you need to modify and produce some action plans, otherwise they will move to step 3. 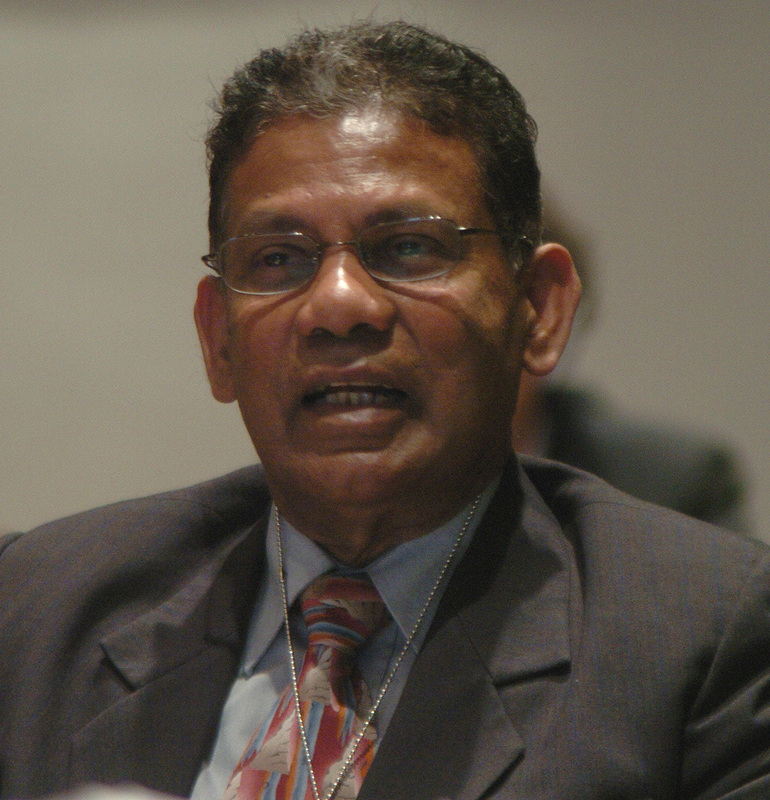 There is no sense of debating whether US went too far, or whether G.L.Peiris or Samarasinghe faction has done the mistake. Belive me, people like Wimal Weerawamse believes we can exist without IC. He can talk, nothing else. SL is not Iran, We don´t have oil, we have nothing. We destroy everything, we banned all NGOs. We need UN´s help, We allowed all NGOs to rebuild the country. We can not exist alone. A proud nation? I find this article well written, especially the analysis given by Mr.Don Wijewardana on the future implications for the west for isolating Srilanka & dragging India also into it,is a prediction which I believe has already started to unfold,while recognizing the role the USA, & the EU,played by banning the LTTE,as a major factor for winning the war,& the backtracking & the refusal of the west to provide arms to the GOSL during the last crucial stages of the war are points which requires much attention. The future for the west as a whole is not going to be easy,for the simple reason, the whole western bloc is in a economic turmoil & very soon it will turn to to a nose dive spiralling out of control, in the past for centuries some countries in Europe became rich through the money which came rolling in from their colonies,& they could spend lavishly on social security systems for their citizens,which other poor countries couldn’t afford,after the second world war, they needed manpower which was lacking to rebuild their economies & their own citizens were too lazy & lethargic to take Manuel labour jobs,so Britain & France brought people from their former colonies,but after 6 decades the descendants of these first migrants were still not fully integrated in to these countries,living in ghettoes & some practising extreme types of Islam, the scarcity of jobs & social discrimination had made certain areas in these countries very volatile,in other words a time bomb,an economic partnership between France & Germany in the late 50’s,became the European union with more than 20 member countries who subsequently joined,the main reason for the leading members of the european union to enlarge its membership was the economic threat of the emerging nations like India & China which they foresaw,but being hasty in their enlargement with their China/India phobia,they took in nations without verifying the health of their economies like Greece Bulgaria Portugal etc..which now has become a big liability to the European union, the west was able to gather some economic momentum after the war which went to the 80’s,one reason was the fear of the communist bloc made it easier to sell arms to their allies in smaller nations,& also the west had the edge in technology,which was lacking in other countries which made them buy cars planes machinery etc..from the west which they themselves were incapable of producing,was a major economic factor,but then the 80’s saw the former communist bloc countries & some countries leaning towards socialism like India,becoming liberalised,that was the beginning of the end of the west dominated world economy,the population of India & China alone consists of 1/3 of the worlds population ready to work for 1/10th of the salary of an European worker in similar circumstances,& it was as though 2 big giants who had been sleeping had awaken,the next factor was the emergence of the computer as a powerful tool for new inventions rather than depending on a pool of scientists,the country which produced the best computer engineers had the edge on technology & inventions,& India today is one of the leading countries in this respect, producing computer programmes for Boeing,& Airbus,etc..a leading economist once said China is the worlds factory,& India it’s office,then came the wars in Iraq & Afghanistan which drained the bank accounts of the west & made enemies of the general citizens of the Islamic world, which produces oil, in the current context the carrot & the stick methods of giving or refusing loans, or threatening a country with war to intimidate smaller nations who refuses to dance according to the western melodies,would not work,to influence them, because the west themselves are in debt & of course there is always China if one needed a loan,(In 2011 the USA which is the biggest debtor in the world had taken a bank loan of us $ 800 billion from China,yesterdays Herald Tribune says “Amid outcry,UK slides to a double-dip recession”,& France considered as one of the giants in economic terms along with Germany producing Airbus planes,cars machinery,etc..had lost a star according to standards & poor,with a national debt of over 1700 billion euros,there is no point in talking about Italy Portugal,Spain Greece etc..) my prediction is that in the coming years,we are going to see the world order change substantially,from west dominated towards an Asian dominated one.